In 1932, two years after D. H. Lawrence's death, a young woman wrote a book about him and presented it to a Paris publisher. She recorded the event in her diary: “It will not be published and out by tomorrow, which is what a writer would like when the book is hot out of the oven, when it is alive within oneself. He gave it to his assistant to revise.” The woman was Anaïs Nin. 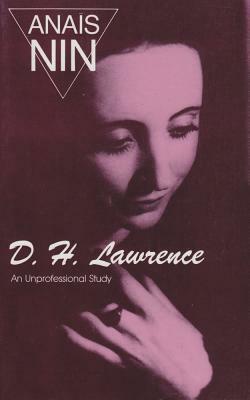 Nin examined Lawrence's poetry, novels, essays, and travel writing. She analyzed and explained the more important philosophical concepts contained in his writings, particularly the themes of love, death, and religion, as well as his attention to primitivism and to women. But what Anaïs Nin brought to the explication of Lawrence's writing was an understanding of the fusion of imaginative, intuitive, and intellectual elements from which he drew his characters, themes, imagery and symbolism. Anaïs Nin (1903–1977) is an iconic literary figure and one of the most notable experimental writers of the twentieth century. As one of the first women to explore female erotica, Nin revealed the inner desires of her characters in a way that made her works a touchstone for later feminist writers. Swallow Press is the premier US publisher of books by and about Nin.